Filed at the Securities and Exchange Commission is a notice that Executive Vice President for mobile games at Electronic Arts (EA), Frank Gibeau, has left the company after 20 years on the job. With 20 years at the same company, it will certainly be interesting to see exactly where Gibeau goes now. Wherever it is, he’s sure to bring quite a bit of experience with him. 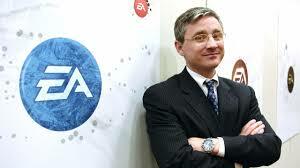 So who will fill such big shoes and take over the mobile games at Electronic Arts ? We will make sure to let you know when that is announced.